CLEAN TITLE CERTIFIED! Reviews: * The 2012 Nissan Altima Sedan is a car with multiple personalities. In base form, it serves those seeking a low-cost source of secure transportation while still enjoying some nice standard features. Go big, and you can be driving a potent V6-powered sport sedan loaded with everything from a Bose audio system to voice-activated navigation. Source: KBB.com * Responsive steering; capable chassis; quiet ride; many available electronic features; available coupe body style. Source: Edmunds * If you''re seeking a sleek and efficient coupe that is a bit more sophisticated than the traditional 2-door muscle car, the 2012 Nissan Altima Coupe is for you. It''s not hard to mistake a loaded V6-powered Altima Coupe for a much more expensive premium car. 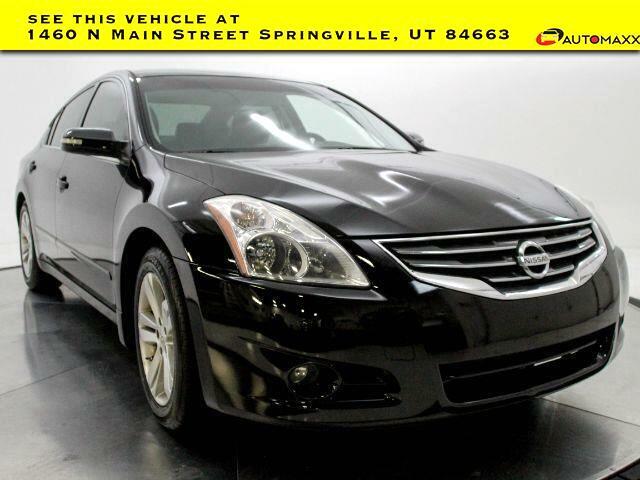 Source: KBB.com 2012 Nissan Altima 3.5 SR Awards: * 2012 KBB.com 10 Best Used Family Cars Under $15,000 --- www.utahautomaxx.com --- 801-489-0500 . All vehicles include a 1 year warranty! Visit Automaxx Springville online at utahautomaxx.com to see more pictures of this vehicle or call us at 801-489-0500 today to schedule your test drive.